Our weekend started with Harper doing a little modeling for a website that sells unique college clothes for babies, girls and adults! 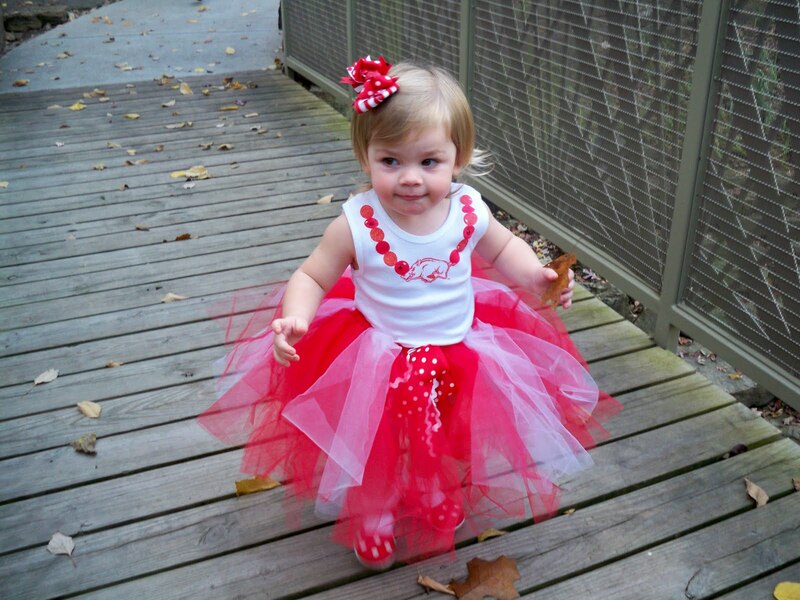 How cute is this Razorback outfit??? (That's 8-2 #13 Razorbacks friends!) ha! Since Harper's aunt and uncle are Texas grads - we let her model this one too. 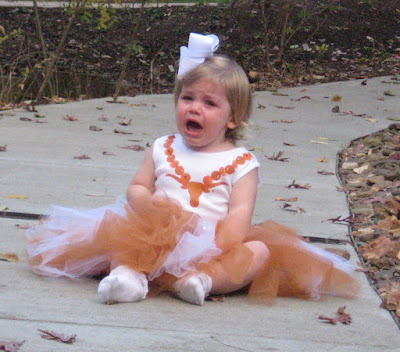 I think this pretty much sums up how all the Longhorn fans feel about their season. ha ha! This weekend is opening weekend for deer season so Scott is sitting in the freezing cold way too early in the morning and sitting in the quiet for hours ............so Harper and I decided to go visit my parents. 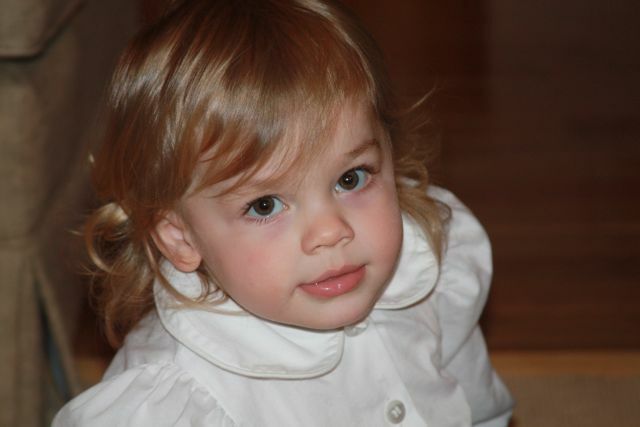 Harper's hair is long enough that I put it in dog ears (pig tails) on Saturday - it was too cute! 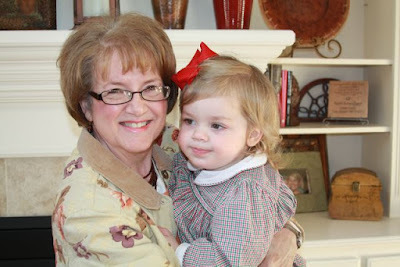 She had a great time visiting Nonny and Papa. 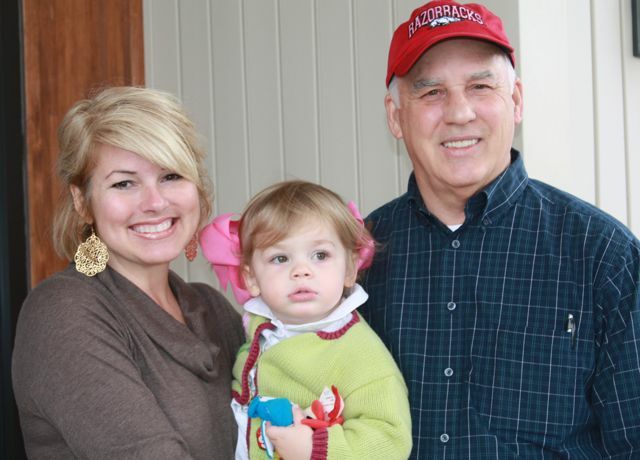 She is crazy about all her grandparents. I hear all four names on a daily basis! She didn't want to pose for pictures before church today so this is the best we got. I know that the majority of you who read this blog don't live in Arkansas or probably barely know where Arkansas is.......BUT if you live in NWA - I have something so fun for you to go to this next weekend! The NWA Boutique show is coming to the NWA convention center! Friday night is a Girls Night Out which includes early preview shopping! but if you live in the area and would like a free ticket - I'm going to give away two! I will draw the winners tomorrow night! So check back! Just leave me a comment and let me know you want to go!! It should be lots of fun! I'm hoping to go!! !